Exciting news…. 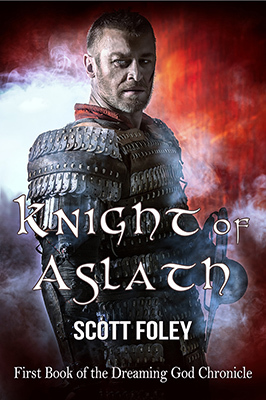 For a limited period after the release date of 17th July, the ebook for Knight of Aslath will be available for just 0.99. Yes, you read that correctly! What else can you buy for that? If you already pre-ordered on Amazon at the list price of £1.99 / $2.99 / €2.99 (which it will return to after the launch), don’t worry as the price will be updated on your order, and you will only be charged 0.99 (or appropriate converted rate if outside the UK, US or EU). Win vouchers, free books and more! If you want to hear about the book launch competitions being lined up for Knight of Aslath, make sure you sign up for the newsletter, as I will only announce them there. You could win Amazon gift vouchers, a paperback copy of Knight of Aslath, and you will even get the first 3 chapters of the ebook free! You can sign up really easily here: Scott Foley Books Newsletter.